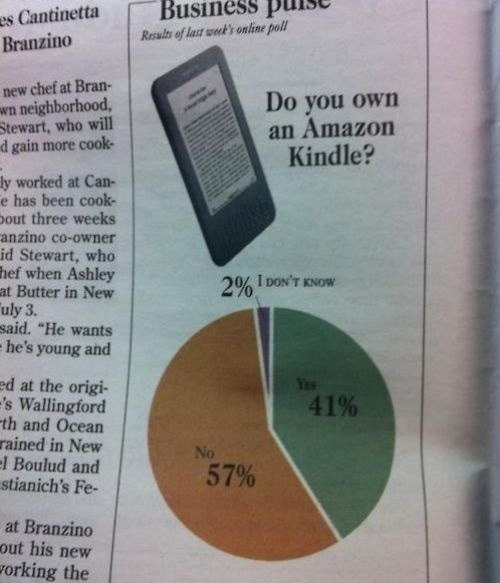 I’d love to know how this question was asked so that “I don’t know” was even an option. My guess is confusion existed over the iPad, iPhone and Android apps which leads to the question: is “Kindle” the reading platform or the hardware? I’m not even entirely sure myself. Amazon should have done a better job keeping them separate.